Last Tuesday, we heard in the news that 20,000 chicks had to be treated at Brussels Airport after the cargo had sat in the sun for 2 days on the tarmac. This dramatic decision was made when a veterinarian determined that the animals were suffering terribly, and that they must be helped immediately. We wonder how it could have happened that the cargo was unmanned for so long? We cannot let incidents like this happen again. Therefore, we demand a total ban on the transport of one-day-old chicks by plane. The animals often die on the road and we want to avoid these situations. Dear signers, thank you so so so much to get involved! We've hit over more than the end goal and I'm now going to hand in the signatures to Brussels Airport as well as GAIA, Animal Rights, Bite Back and the minister of animal welfare. Let's see what we can achieve! The petition is going so well, I'm ending it on 20.000 signings. That's a signing for each chick life that has been lost. I'll keep you posted on the government's reaction and animal rights movements. 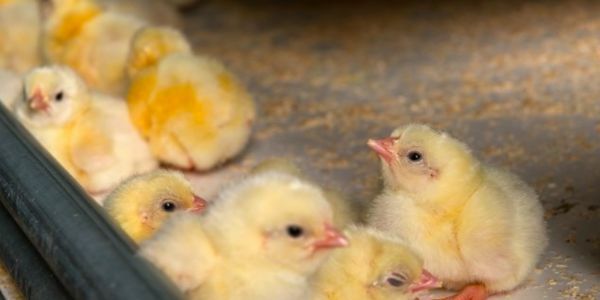 Thank you so much for signing the recent petition on the banning of transportation of chicks! The original goal was 2000 signings, well, we're way over that capacity! I've changed it to 5000 now, so we can have an ever bigger impact! Keep on signing! Together we can make a difference.